When you’re moving out of a home, you might need to consider moving companies in Philadelphia, PA with storage options. This is especially true when you have not found a permanent place to live yet, or do not have the space needed to hold all of your belongings. Suburban Solutions has stored belongings for people who are moving across town, across the state, and across the country. Regardless of how much or how little you need to store, we can help. 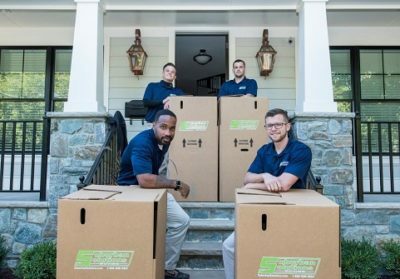 Call a moving company like Suburban Solutions now to learn more about how our storage options set us apart from other moving companies in Philadelphia, PA. Why You Need A Moving Company with Storage. Self storage is a way of storing your belongings. In simple terms you will be provided with a storage unit that can be filled up as much as possible, and locked. That’s all there is to it. It is fast, affordable, and convenient. If you’re using self storage services from a moving company, they might also be able to help you load and unload your items into the space. Other moving Philadelphia, PA moving companies, such as Suburban Solutions. Logistics might become complicated during a move. This is especially true when you are moving outside of state or across the country. If you’re in any of the following situations, you might need a moving storage company. Professional Assistance – A moving company can help you to load, unload, organize, and reload your belongings. More Affordable – Many moving companies offer packages that include the move and storage. Peace of Mind – If you’ve found a good moving company that you trust, it may ease any anxiety of also finding a trusted storage facility. Whether you are moving across town, a few hours away, or to another state, Suburban Solutions can get your belongings safely from Point A to Point B. If you haven’t found a new place to call home or need some extra space, we also offer a secure storage facility to store all of your belongings. For a complimentary quote, please call today and work with one of the best moving companies in Philadelphia, PA.